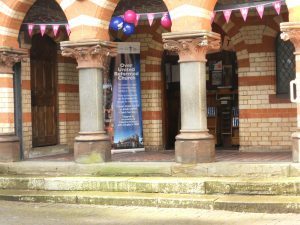 For a number of years Heritage Open Days have been held nationally during the second weekend in September. This year, for the first time, here at URC Over we participated in the event; this was at the encouragement of one of the trusts that we approached for financial assistance with our roof repair work. Five trusts have awarded us grants; these are the Heritage Lottery Fund, the National Churches Trust, the All Churches Trust, the Congregational and General Charitable Trust, and the Garfield Weston Foundation. We are extremely grateful to all five Trusts for their very generous funding. We hope to hear within the next few weeks whether we have secured Stage II funding from the Heritage Lottery Fund. That is a little background on how we came to be involved in the Heritage Open Days scheme; here is what we did! We put up a banner. We had a pull-up banner in the porch and decorated the grille with bunting and balloons. 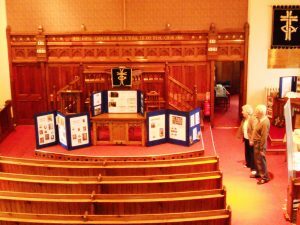 We had several display boards depicting the Church’s history and heritage; including the work of John Douglas. We had also prepared information leaflets for distribution to visitors. But most importantly of all – we had visitors!!! 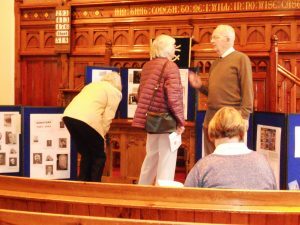 Not only members of the Church Family, but also three who had found out about our supporting the national Heritage Open Days by going on their website, and two through word of mouth. We talked with the visitors over refreshments served in the Church; most of them signed the visitors’ sheet before they left. 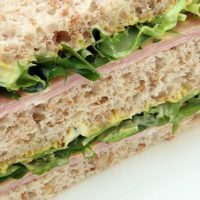 Most encouragingly, the main words used in the comments section were ‘very interesting’. We opened on Friday 8 September between 10.00 and 12.00noon, and on Sunday 10 September from 14.00 until 16.00. 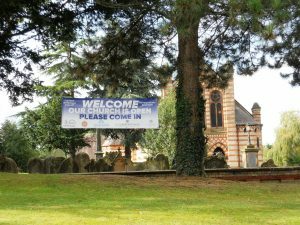 We had to take down the banner, bunting and displays after the first session because we had a wedding in the Church on the Saturday; following the morning service on Sunday everything was back on display again, ready for the 14.00 session. Not having participated in the Heritage Open Days scheme before, it was a learning curve and a little tiring – but very rewarding. We’ve applied for ‘Eco-Church’ status!